Find a vacation home to rent in Dicomano from our list of vacation rental properties. Campaya has over 26 vacation homes available in Dicomano, which give you the possibility to locate a unique accommodation in Dicomano which completes your check-list in search for the perfect self catering vacation apartments in Dicomano or vacation villas in Dicomano. Ancient manor house that is part of a 400 ha property with woods, vineyards, olive groves and two small delightful lakes. Pretty view. Peaceful position. In a huge property (about. 400 ha) 5 ancient farmhouses (ITF811-ITF812-ITF813-ITF814-ITF815-ITF816), a manor house and a very small parish church have been recently restored. Nice holiday home on the green hills covered in woods in the heart of Tuscany, ca. 4,5 km from the little village of Corella (grocery shop). Magnificent stone-built house, part of an ancient farm complex that dates back to the late Middle Ages. The nearest town is Dicomano, which is ca. 4 km away. 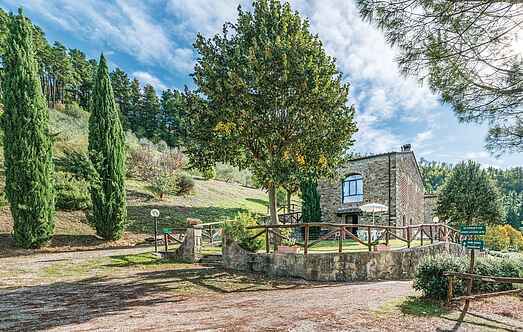 About 8 km from Dicomano, in a beautiful valley of the Mugello region, lies this holiday home on the outskirts of a small hamlet. 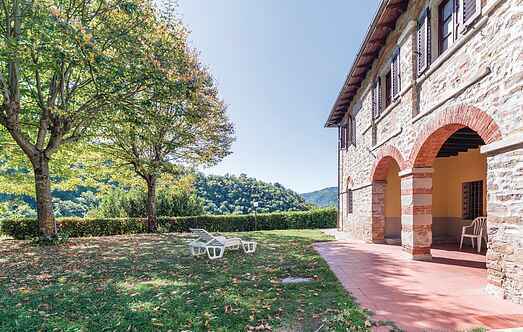 This detached holiday villa is located 1 km from Dicomano in the beautiful country side north-east of Florence. This ancient farmhouse at 1. This well kept property dating back to the 13th Century is set about 4 km from the beautiful Dicomano.